Posted 6/11/2018 6:53pm by Core Committee. 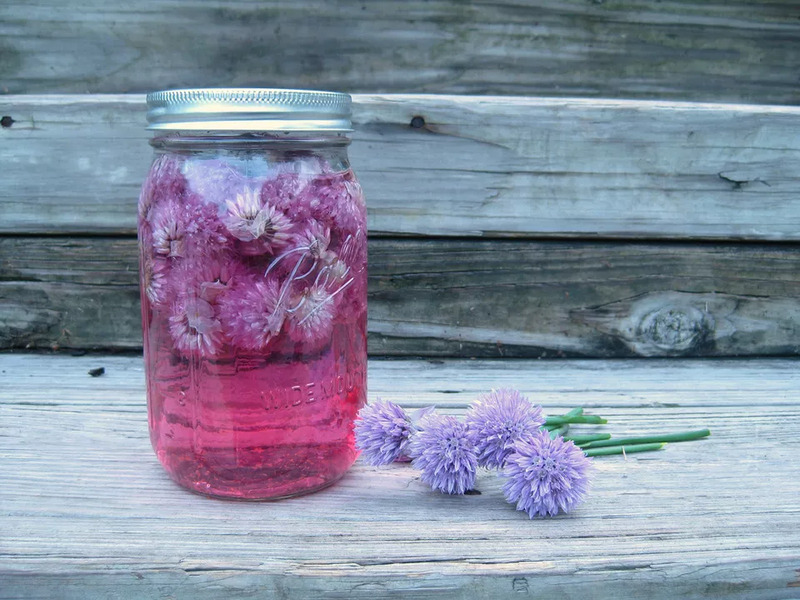 My favorite thing to do with chive flowers is make vinegar. Super easy (and pretty) and makes a great dressing for all the salads you'll make this week with out CSA lettuce! The summer season is finally here! We're so excited for our first pick-up tomorrow. Please note that the first two pick-ups will occur in the garden area at the church, not inside, and volunteers will be on hand to direct you. We're looking for volunteers in the 4pm - 6:30pm slot. Please email us at info@washingtonsquarecsa.com and let us know if you can help out! If you haven't had a chance to sign up for your first volunteer shift, be sure to do so here. If you are a new CSA member (or just need a refresher) we have created a welcome flyer that has tips and FAQ's for the season. We'll have these on hand at our first pick-up as well. Also don't forget to bring your own bags for pickup each week. We cannot provide bags or boxes to help transport your share. And if you need help getting back into the swing of the CSA, our "Caring For Your Share" PDF organizes common veggies in the order you should eat them in, with quick facts on storage practices. Finally, if you're interested in joining our core committee, we're looking for more members to join for the positions of Market Day coordinator and volunteer coordinator. Reach out to info@washingtonsquarecsa.com if you're interested! The farm has seen many ups and downs this year mostly due to the weather. We have seen a cold wet spring punctuated with a few days of hot weather. In fact, we're now in another cool spell. There have been highs in the seventies and lows in the fifties. For most crops this is okay, because they like the cool weather. It is not good though for crops like tomatoes, eggplants, and peppers who do not fare well with the cold. We are looking forward to a good CSA season. We have taken on an additional 80 acres of new land! This will allow us to do a better job of cover cropping. We plan on doing over 25 acres of cover crops this year which is over 3 times what we normally do.